After a big breakfast this morning, we headed into Robin Hood's Bay and popped on our wellies for some rock pooling! With nets and buckets ready, we explored the pools and found all sorts of wildlife - crabs, anemones... even an octopus! 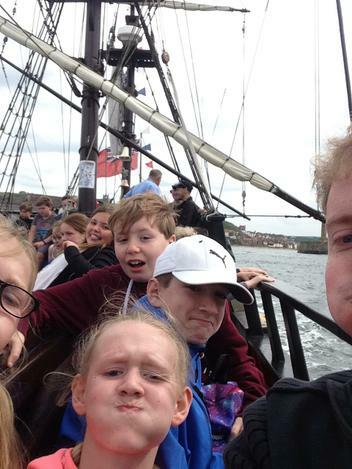 We then climbed back up to the buses and were taken to Whitby. 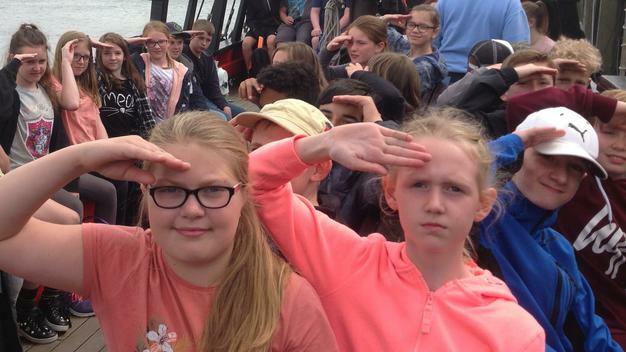 We split into two groups for this; each group tried the bumper boats and go karts, had ice creams, sailed on the Endeavour and saw the abbey. After tea and some diary writing, we then played games together on some grass near one of the hotels. For our evening activity, it was either the disco or the famous magic lantern show! Everyone is very tired and getting some sleep now, ready to explore Dalby Forest tomorrow!